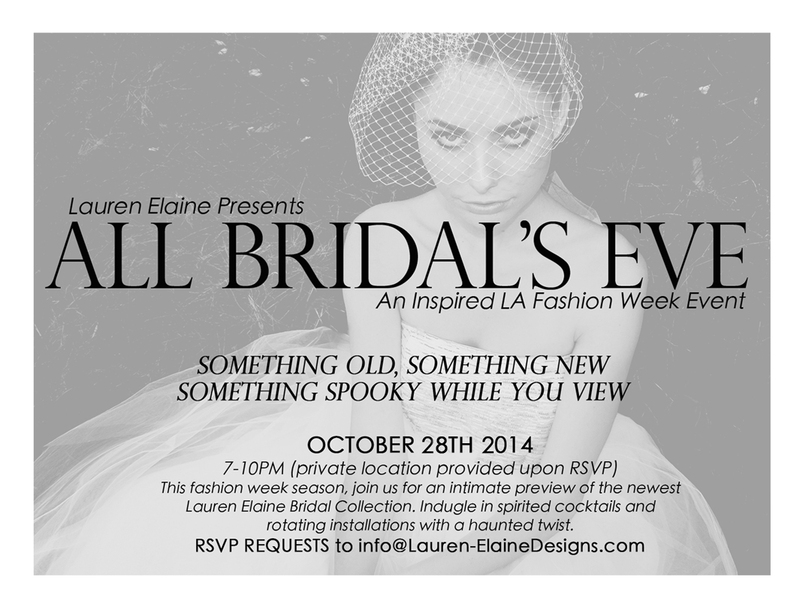 ‘All Bridal’s Eve’ is now closing out the LA Fashion Week festivities on the 28th of October. We’re summoning our corpse brides for a fashion filled evening with a haunting twist. Read more about the event here. Press/Blogger/Industry invite requests to info@lauren-elainedesigns.com.